We hope there’s plenty here to tempt you. For Functions, we are always happy to discuss options if you have particular favourite's that aren't mentioned or would like only a few items to compliment your own catering. Also, should you have any special dietary needs, these too can be discussed to see how we can make it work for you. 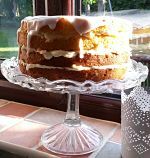 Each cake serves 10/12 guests - so for example if you have 40 guests you can choose four whole cakes! Having friends round for a cup of tea? 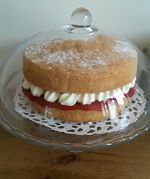 Why not treat them to a slice of Home made cake? All of the Simply Cake range below are available to order as a one off or be naughty and choose a selection! As I master something new, I’ll bring it to the table!